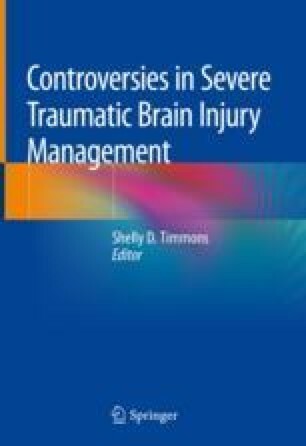 In this chapter, we discuss the current practices, controversies, and current and future research concerning oxygen management of severe traumatic brain injury (TBI) patients in the intensive care unit (ICU). Prevention of secondary injuries is paramount to the care of TBI patients, so understanding the different mechanisms of secondary injury in TBI patients (including ischemia, mitochondrial damage, and free radical formation) will contribute to their prevention, with the ultimate goal of improving neurologic outcomes. Although many of the data regarding brain tissue oxygen monitoring and directed management are still controversial, different techniques and systems used for monitoring have been proven safe and potentially beneficial. Recent studies investigate the unique option of hyperbaric hyperoxia treatment for severely injured TBI patients, with promising early results.